Hi everyone! 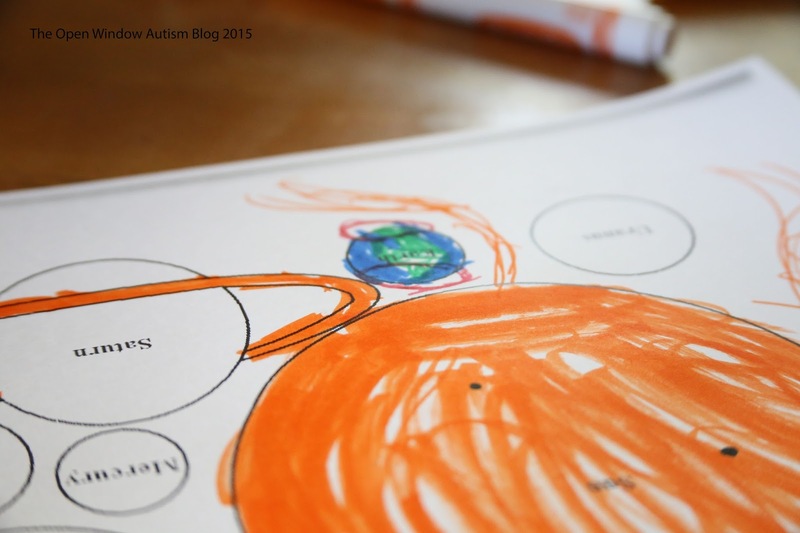 Today I'm bringing you a review of Funtastic Unit Studies and their Science Unit Studies for Homeschoolers and Teachers. Science Unit Studies for Homeschoolers and Teachers is a roughly 200 page book full of hands on science activities and ideas for students aged 4-13. Each chapter unit, 20 in total, covers a specific topic, and there is a list of supplies that you will need to complete each unit. The supply lists are easy to find things that you may already have on hand. The first half of the book is for younger students aged 4-7, while the second half is more for older students aged 8-13. Some topics covered include The Five Senses, Dinosaurs, Human Body, Weather, and The Solar System. 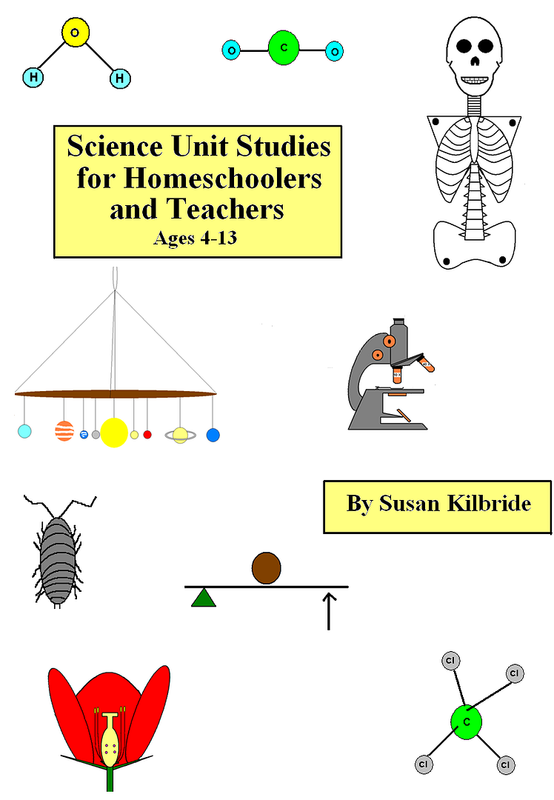 For this review, we received one Science Unit Studies for Homeschoolers and Teachers book. The book is arranged in units so that you can fully explore a topic in about a two week time frame. That time frame will be dependent upon your personal style, and I found that we tended to work a bit faster than that. The first half of the book is intended for younger students, and the second half is meant for older students. I found this to be pretty on par for the age groups, but also easily adaptable to be used with all. One could easily adapt a younger aged activity for an older student, or an older aged activity for a younger student. It is nice to have a book that can span age groups in this fashion. I would like to see the option to just buy one age group or the other for those who may wish to not have both halves of the book. That might be a nice option. The Supply list for this unit. Here is the page from the book. You were to cut out each celestial body after coloring, and then suspend it from the hanger. As you can see, we did this particular activity when there was news of solar flares HAHA! Mr. B absolutely REFUSED to cut it out, for fear his flares would not be OK. 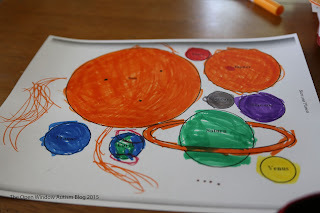 So instead of a way cool, hanging solar system, we have a way awesome work of art! The next activity we did was on the skeletal system. The point behind this activity was to color and cut out the skeletal bones, and attach them using something like brads so that the joints would articulate. We modified this one, also, to make it an x-ray since we had been discussing x-rays earlier that week. The supply list for this unit. The page from the book with the "bones." Finally, we checked out the additional resource list that was included with this section. As I mentioned above, each unit has the supply list in the very beginning that lists the supplies needed for that unit as well as additional resources. While this is a great feature, I found it made me a little overwhelmed. I would much rather see each activity have it's own supply list since that would appear like a smaller list. I can definitely see the use of having an entire unit's worth listed, but I would find a break down of lists per activity to be much easier to mentally grasp and tackle. The supplies are easy to find, and they are comprised of things most will have on hand already. If you don't have them already, they are inexpensive and easily found at your local discount or craft supply store. The directions are easy to follow and the explanations are well written. There are graphics that are included to help with explanation. Actual photos of completed projects (even additional "modified" projects) might be a great addition to a next printing. Overall, we found Funtastic Unit Studies Science Unit Studies for Homeschoolers and Teachers to be a great resource for hands on activities and fun! Mr. B enjoyed the activities, and I enjoyed doing them with him. I found the ages listed on the table of contents page to be particularly helpful. I really like that there are activities appropriate for a wide age level, though a separate book for each might be desired by those who do not have students/children who span those ages. You get a lot of bang for your buck with this unit studies book! Does Funtastic Unit Studies Science Unit Studies For Homeschoolers and Teachers Pass My 4 Ingredient Test? Since this is a book resource, there's no time limit or hidden fees. You do have to supply your own supplies, but those are relatively inexpensive if you don't have them already. You can jump ahead, etc. but I found each section in a unit builds upon the one before it. The book is geared towards ages 4-13, and the appropriate ages are listed for each of the activities in the Table of Contents. 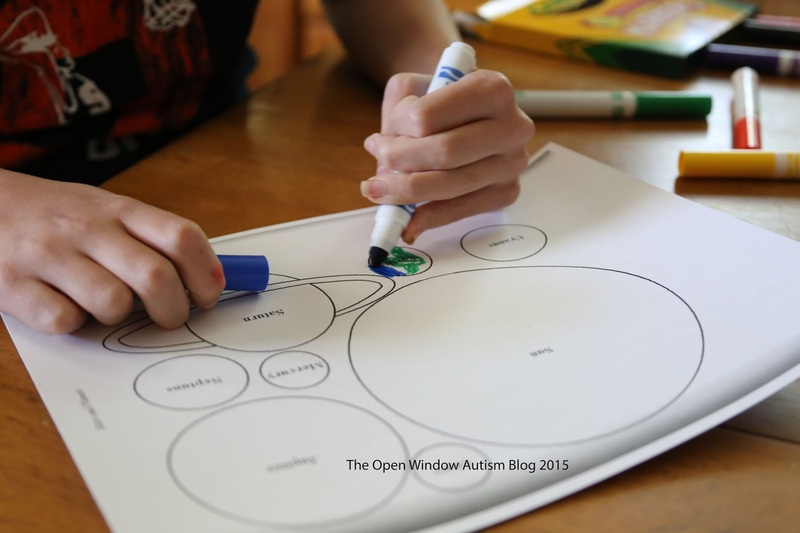 It is quite varied with hands on activities that do not require a great deal of time. It is appropriate for ADHD, though the graphics are a bit lack luster. That could be good if graphics are a distraction, or bad if you need them to get attention. 4.) Does it tie into other things we already have.You could easily tie this in with other areas of your schooling. To read more reviews, please click below and check out the Review Crew!